UNIST celebrates the official signboard-hanging ceremony of the Explanable Artificial Intelligence Center on September 25, 2017. The official signboard-hanging ceremony of the Explanable Artificial Intelligence Center at UNIST on September 25, 2017. The official signboard-hanging ceremony of the the Explainable Artificial Intelligence Center (XAIC) took place at UNIST on September 25, 2017. With the support of this center, UNIST will accelerate the development of the next-generation artificial intelligence (AI) system, capable of explaining their decision-making to humans. The official signboard-hanging ceremony of the Explanable Artificial Intelligence Center at UNIST. 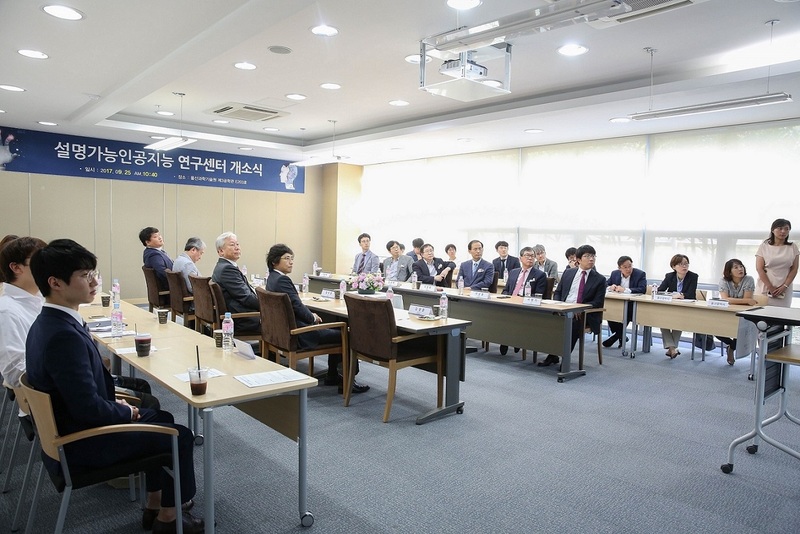 Professor Jaesik Choi in the School of Electrical and Computer Engineering at UNIST has recently embarked on the National AI Strategic Project by the Ministry of Science and ICT (MSIT) to develop the next-generation explainable AI software. 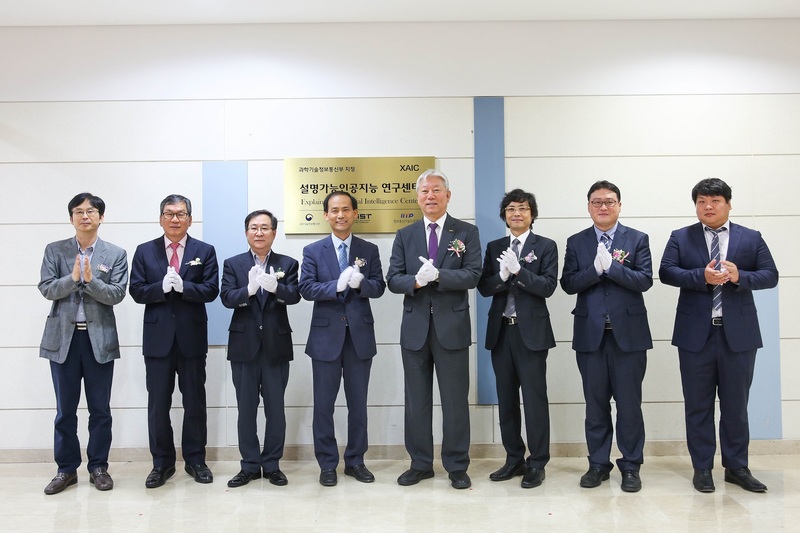 By successfully securing 1.5 billion KRW in research funding and an additional 400 million KRW from the city of Ulsan, the project aims to develop AI system capable of self-learning and reasoning. The project will be supported for the next four years and six months by December, 2021. 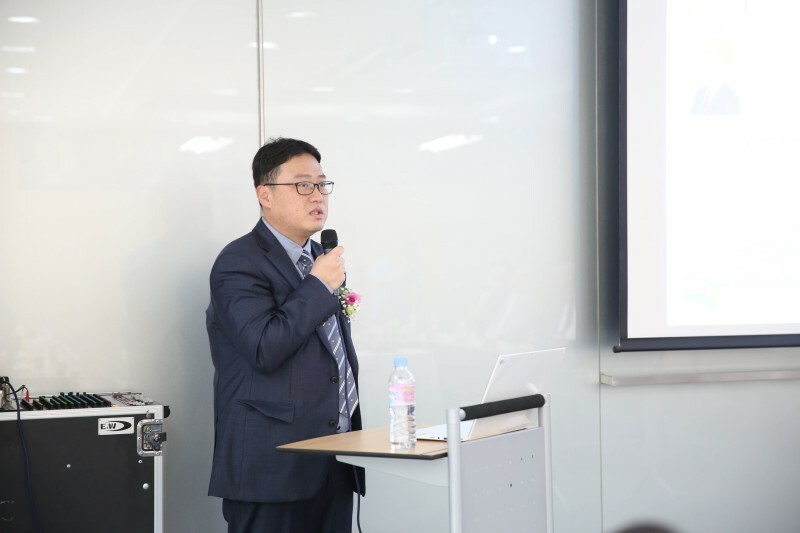 Under the direction of Professor Choi, the center will develop innovative artificial intelligence (AI) core technologies rather than simply analyzing the given data. Moreover, through technological cooperation, the center aims to provide trusted and practically applicable AI for the medical and financial fields. Located in the Engineering Building III at UNIST, the center has been jointly hosted by UNIST, four other universities, as well as one business. “Through the official launch of the center, the development of next-generation explainable AI will be accelerated,” says Professor Choi. At the official signboard-hanging ceremony of the Explanable Artificial Intelligence Center (XAIC) at UNIST. “By securing the fundamental AI technologies, the city of Ulsan will become the core industrial base of the Fourth Industrial Revolution,” says Mooyoung Jung. The ceremony was attended by 30 guests affiliated with the center, including President Mooyoung Jung of UNIST, Vice-director ChangHee Lee of Intelligent Information Society Bureau (MSIT), Director SangHeung Lee of Institute for Information & Communications Technology Promotion (IITP), and Deputy Mayor GyuTaek Oh of Ulsan City Hall. Meanwhile, Artificial Intelligence (AI) is one of the nine other national R&D projects in preparation for the Fourth Industrial Revolution. With a total investment of 170 billion KRW, the project aims to establish an AI platform, secure next-generation AI technologies, and introduce advanced AI services by 2023.